When you’re closing on your new house, an escrow holder is used to assure the process will close appropriately and in a certain amount of time. When payment is held by a third party in a transaction between a buyer and a seller, it’s in escrow. An easy way to understand the concept of what an escrow company does is to think of the use of PayPal for online purchases. The escrow holder makes sure that the terms and conditions of the agreement between the sellers and the buyers are performed in preparation of the sale being completed. 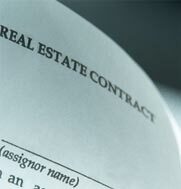 Upon completion of all portions of the escrow, closing can take place. All outstanding payments and fees are taken and paid at this time (covering expenses such as title insurance, inspections, real estate commissions). Title to the home is then transferred to you as new homeowner and correct title insurance is issued as noted in the escrow policy. The escrow agent gets a payment at the completion of closing. I’ll keep you informed on the next steps. Often, to pay recurring costs while there’s a loan on the house, a Mortgage Escrow Account is created. Generally, the Escrow Account is partially funded at closing and the home buyer makes on-going contributions through their monthly mortgage payment. Now you know more about how to close on your future home. And, you can be a more confident home buyer and future homeowner.